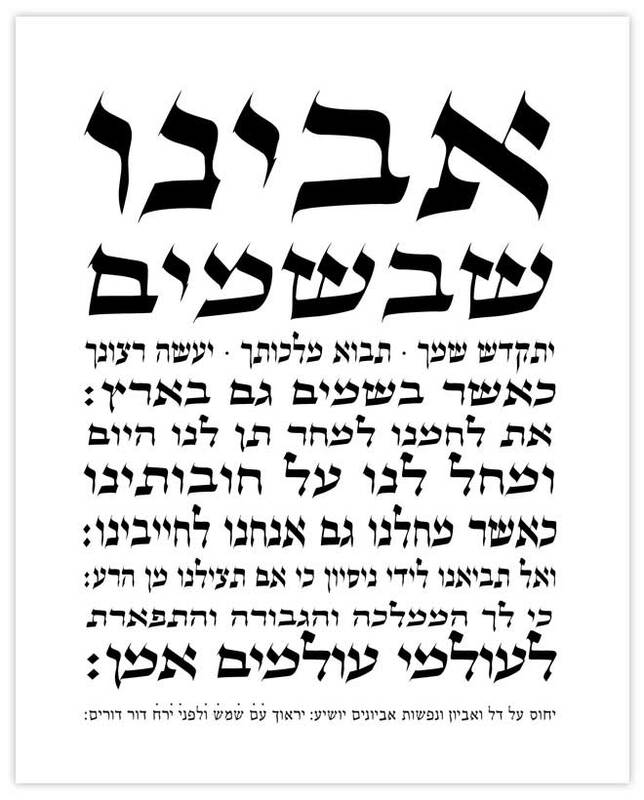 Decorate your home, office or study with this beautiful 8" x 10" print featuring the Master's prayer in Hebrew, Avinu (Our Father). Ready for framing or to be displayed as a stand-alone print. as your will is done in heaven, may it also be on earth.